With a whole-house distributed video system, you can watch shows from your DVD player, media center, satellite dish, or security cameras on any TV, simultaneously in every room of your home. 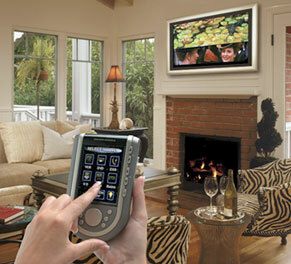 There is no need to purchase DVD players and other video equipment for every room because the system is centralized. The centralized components can either be hidden away in a closet, or if you prefer, mounted in an impressive rack system in your media room.